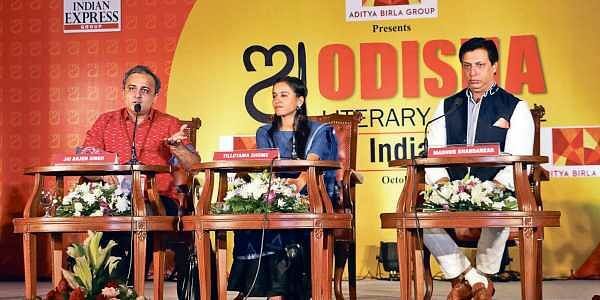 BHUBANESWAR: How has Indian cinema travelled from the 1980s till now. From the single theatres to the multiplex age. From the video parlours to the digital era.Critic and writer Jai Arjun Singh took the narrative of this period’s passage through the experience of eminent director Madhur Bhandarkar and actress Tillotama Shome.“The distinction between commercial and parallel cinema is now blurred. Actors are doing films which are kind of unclassified because it so much more nuanced,” Singh said as his described the movement away from the grand narrative of Bollywood cinema to the contemporary films which are into specificities and authenticity. Bhandarkar recalled the 1980s when he was enamoured by both potboilers like Himmatwalla and Justice Choudhury to the films like ‘Ardh Satya’ and ‘Jaane Bhi Do Yaaro’ which mirrored hard reality. “In last 10-15 years, there has been a revamp and now people want intelligent and logical cinema. Potboilers, of course, run but films are much more content driven now,” the director of “Indu Sarkar” said. Shome, who described herself as an outsider who gatecrashed into acting, was candid and immensely honest about her journey and experience. “My father was in the Indian Air Force and he would get posted to a new place every three years. We would learn a new language and before we knew, we had to forget it and learn another one. I was trying to fake it till I make it,” she said. She felt that the pleasures of acting in shoestring-budget films is everyone comes prepared to overcome the challenge of constraints. Shome revealed how she was offered nothing except role of a maid after her debut in the acclaimed “Monsoon Wedding” in which she played a maid. “I did want to get bored. So I went off to US, studied drama therapy, taught in prisons and when I came back, I was ready,” she said. She has won laurels for her accomplished work.